Getting fit for custom clubs is a very popular trend in the golf industry today. The Profile SGI complete golf set is the only “Custom fit in a box” system in the world. 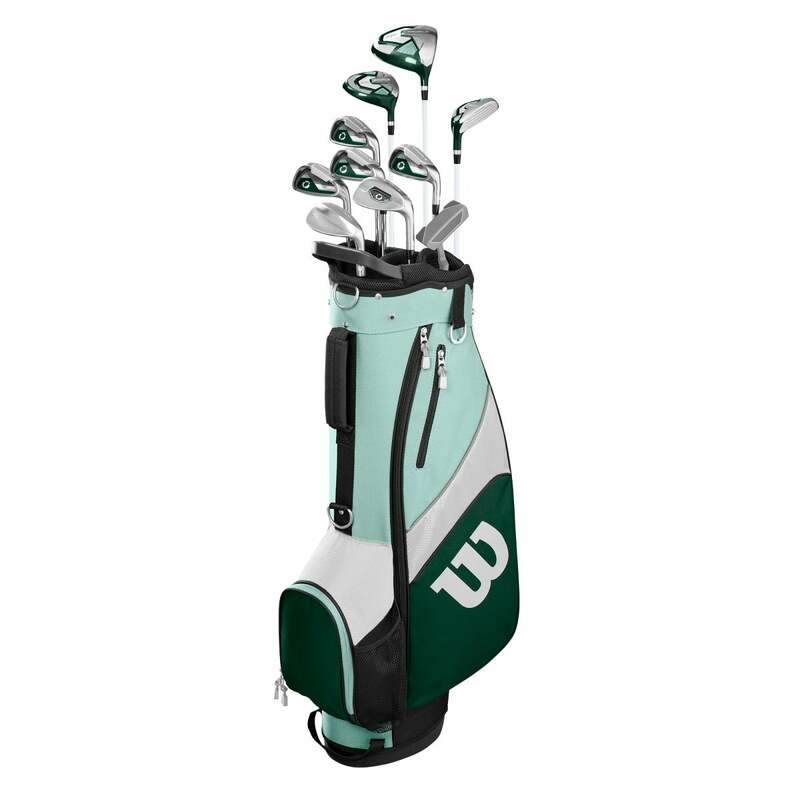 It features thirteen options — with various lengths, lofts, flexes, bags and grip size to more perfectly fit beginner golfers. 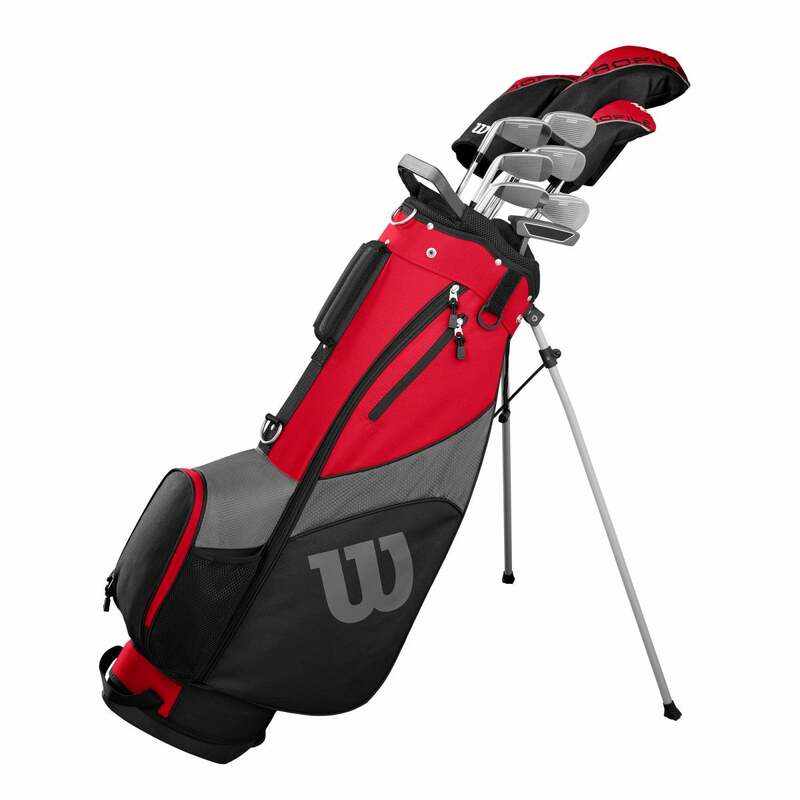 The Senior Complete set is designed to addresses physical considerations and swing characteristics of senior players. Wilson's proprietary "Custom fit in a box" ™ system has thirteen size options to fit every player! DRIVER Forged Titanium composite 460cc oversized Driver with power weighting technology. Large sweet spot face Driver with high loft technology to get the ball airborne easier and improve distance. FAIRWAY WOOD Large sweet spot fairway wood with tip reinforced graphite shaft and all weather grip. Strong loft and low weighting design support playability from both fairway and rough. HYBRID Easy-to-hit hybrid club with shallow face and high launch technology. Enhanced head design yields better trajectory than difficult-to-hit long irons, resulting in longer, straighter shots. Extreme perimeter weighting creates enormous sweet spot for improved accuracy even on off-center hits. “Large Unsupported Face” technology for increased ball speed and greater distance! HEAD COVERS Popular premium style head covers protects your valuable investment. Soft flannel lining preserves wood and hybrid’s paint finish from damage. 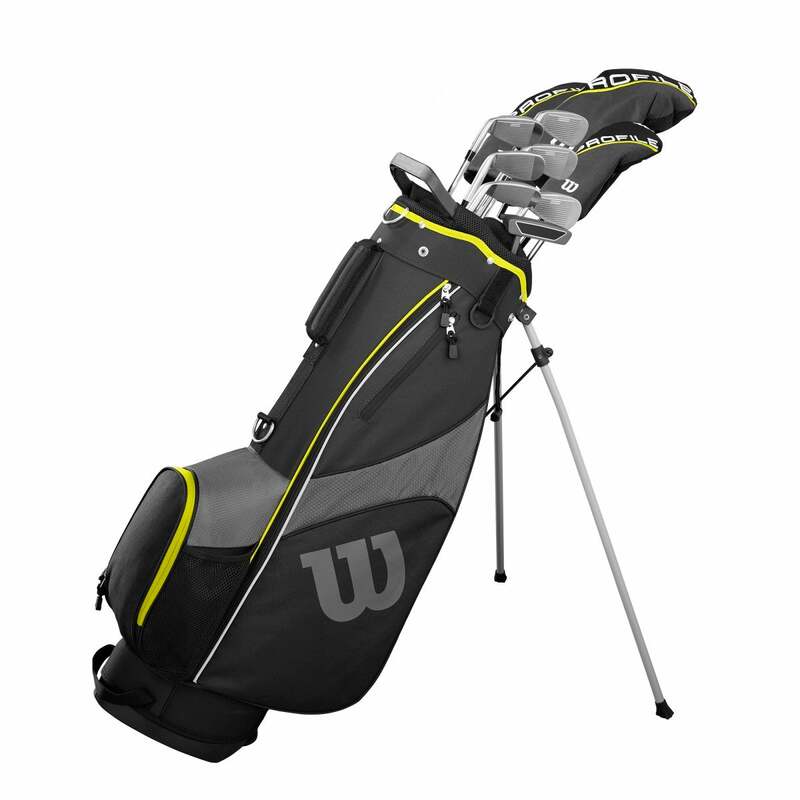 Padded seven-way top with convenient main lifting handle protects graphite shafts for sustained performance.